While modern people are spending more time and money on wellness than ever before, many are looking for a quick fix. This makes for ideal consumers: impatient, anxious, and vulnerable to manipulation. Medium.com takes a critical eye to the juicing fad…. From 7 in the morning ’til after 7 at night, the “juicologists” at Greenleaf Juicing Company in Portland’s Pearl District prep and drop produce down a rumbling chute before they’re transformed into $8 [R114] cups of greenish liquid. The shelf above the juicer is stacked with rows of labelled jars: Cacao nibs. Turmeric. Spirulina. Maca. Hemp. Chia. But what does it all do? Do the thirsty consumers shelling out an hour’s worth of minimum-wage pay for the mysterious concoctions have any idea? Modern cleanses rose to popularity in the 1990s with Scientologist and entrepreneur, Peter Glickman’s “Master Cleanse,” which, according to The New York Times’ Judith Newman, involves “lemon juice, cayenne pepper, maple syrup and 10 days of your life”. 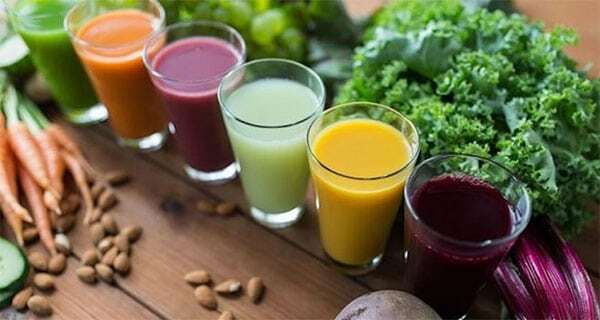 Since then, juice cleanses have become ultra-fashionable, especially in health-hooked cities like Portland and amongst people with New Year’s resolutions, post-breakup depression, or hefty salaries. As with just about every other commodity, from push-up bras and sneakers to shampoo and candy bars, the wellness industry taps into consumers’ fears and insecurities to move product. While modern people are spending more time and money on wellness than ever before, many are looking for a quick fix. This makes for ideal consumers: impatient, anxious, and vulnerable to manipulation. “I honestly think that if someone were to put a pill in front of someone and be like, ‘Hey! You can take this pill, and it will make you completely healthy and well,’ everyone would jump on board with it, because they’re getting all these benefits without having to put in the work that we as a society know we need to do,” says Portland State University health educator, Taylor Schwab. This “magic pill” mentality stems from the modern preoccupation with convenience. As with fast food and fast fashion, modern consumers want fast health. The idea of a prepackaged bottle of nutrition that will rid the body of everything bad and cure all ills is, understandably, tantalising to the modern consumer — it’s quick, easy, and turns the concept of health into a commodity practically begging to be shared through a Facebook status or Instagram post. “I think [marketers are] using wellness as a scapegoat, as their marketing tool and their brand, and hoping someone will buy their product in hopes of getting results,” says Schwab. Nate Higgins, founder of Portland-based juice bar chain, Kure, is well aware of the modern superpower that is marketing. “The internet has also given us the opportunity to explore our own mortality in a way that has never been experienced before,” he says. Higgins uses this awareness of mortality as a marketing tool — the juice bar’s Instagram tagline and oft-used hashtag reads, “Live fast, die last”. The word “toxin” is a buzzword in the wellness industry and a propagator of fear in consumers. Its “toxic” connotations imply that those who do not flush their bodies are being poisoned by them. The truth is pretty much the opposite: human organs are designed to do most of the heavy lifting. According to Stephen Barrett, MD, the theory of auto-intoxication, or poisoning by a toxin formed within the body, has been around since the early 20th century but was discarded by scientists in the 1930s. From a scientific standpoint, toxins are typically foreign poisons that enter the body, such as snake venom. The so-called ‘toxins’ that pilates instructors and juice bar owners warn their customers about are essentially empty threats. “People are interested in this so-called detoxification, but when I ask them what they are trying to get rid of, they aren’t really sure,” says Dr James Grendell, chief of the division of gastroenterology, hepatology, and nutrition at Winthrop-University Hospital in Mineola, NY. New York-based internist Dr David Colbert also questions juice fanatics’ lack of specification. The root of juicing’s success — and its problem — is blind consumption. Consumers chug juice because it’s supposedly healthy, but they often have little understanding of its specific benefits or downfalls. “The purpose of a juice cleanse should be to recalibrate your body and, more importantly, your habits,” says Greenleaf’s co-founder Matt Trenkle. Greenleaf’s founders worked in finance in Chicago before starting the company. Greenleaf’s juice cleanses start at $24 a day or $168 a week, for three bottles of juice each day…..